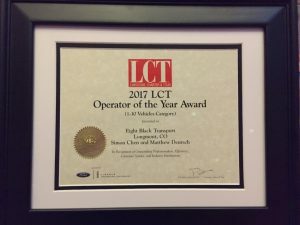 Longmont, CO: Eight Black Transport, the 2017 LCT Operator Of The Year today announced the acquisition of 2 prominent Denver based ground transport companies. Red Boots Limousine and A Absolute Limousine become the 2nd and 3rd acquisition Eight Black has made in its short 3-year history. Red Boots, owned and operated by Mary Claire Friesema and Ron Chamberlain, built a well-respected Denver based business over the last 6 years using a fleet of 4 vehicles. A Absolute Limousine is owned by Mike McLaughlin. Mike originally purchased the company in 2010. He also had purchased American Heritage Limousines in 2011 and later that year, combined the 2 entities. 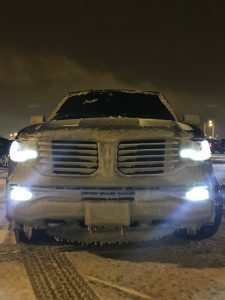 A former firefighter/EMT and 911 Dispatcher – Mike has always held safety as a top priority and it is clear by his dedication to his clients safety and his determination to remove the stress from their ground transportation experience that he was always able to deliver a superior service. Both the Red Boots and A Absolute Limousine brands will remain, but the back office, reservations, customer service and the fleet will all be consolidated. Financial terms of the 2 acquisitions remain undisclosed – apart from the fact that both are all cash transactions and no hard assets were acquired in the overall purchase of both entities. Eight Black has already expanded its existing fleet to cater for the additional volume and will continue to grow the fleet as needed. About Eight Black: Eight Black Executive Transport is a premium provider of Ground Transportation solutions, with locations in Longmont and Denver. The company has grown quickly and revenues have doubled year on year. It has focused on the premium end of ground transportation and has attracted a host of Fortune 500 clients. Eight Black is unique in that it is the only Colorado operator with an Executive Protection Division, and in another first, the only operator to run a Bentley Continental Flying Spur. 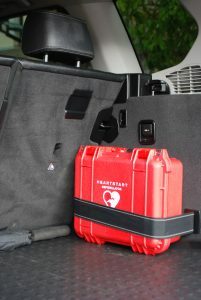 All its vehicles are equipped with AED’s, comprehensive First Aid Kits, Fire Extinguishers, Wifi and mains power. The team has proven itself with large-scale group movements and in 2018, completed 100+ weddings in Northern Colorado. Its extensive fleet comprises the latest vehicles from Mercedes Benz and Lincoln and the average age of the fleet is less than 3 years old. The company continues to exceed client expectations with an unrelenting attention to detail, a highly trained professional team of drivers and a commitment to total client satisfaction. In our customer commitment to provide the latest in vehicle comfort and safety, we are delighted to announce the arrival of a 2017 Mercedes E300, 4-Matic to our fleet. Like all the sedans and SUVs in the Eight Black fleet, the new Mercedes is all wheel drive utilizing the proven Mercedes 4-Matic system. In winter, the car is fitted with the latest Blizzak Winter Tires. Client feedback to the new car has been nothing short of positive. 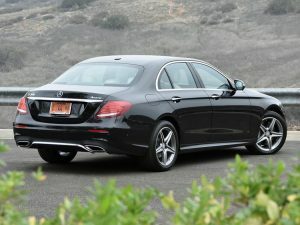 Book your ride in our new E300 by calling our main reservation number 720 316 6822. 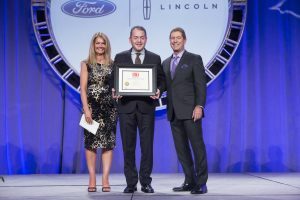 Eight Black Executive Transport is a small, independent ground transportation company owned by Simon Chen and earlier this year, won the LCT Operator Of The Year Award in the 1-10 car category. “As a transport operator, we need to take responsibility for being able to administer first aid no matter where we are and no matter the conditions. 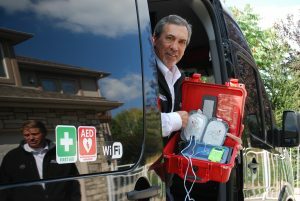 We also need to have access to life saving equipment like defibrillators” Last year, Denver Paramedics saved 52 people from cardiac arrest – that should be enough evidence for any operator to install AED’s in their fleet. 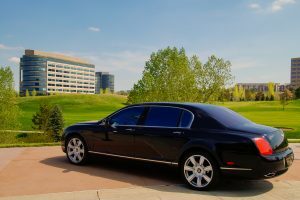 Welcome to the only Bentley limousine in Colorado. Welcome to 560 horsepower with a twin-turbo twist. Welcome to the peace of mind of all-wheel drive. Welcome to elegance and style.